So you’ve picked a niche for your drop shipping store… Congratulations! (If you haven’t decided what product(s) to sell yet, check out our article on niche selection here). The next step is finding suppliers that are willing to “drop ship” the goods for you, meaning that they will warehouse and ship them so that you don’t have to! On the surface, this is a complicated question that only leads to more questions - Do I need to buy a supplier directory? How can I make sure the suppliers drop ship without contacting them? How many suppliers do I need to succeed in a niche? Not anymore! Today, I’m going to take the mystery outsourcing suppliers and reveal to you the simple process that we at DropShipLifestyle use every time we start a store in a new niche. Before we get started, let’s talk about some common beliefs about finding suppliers, and separate fact from fiction. 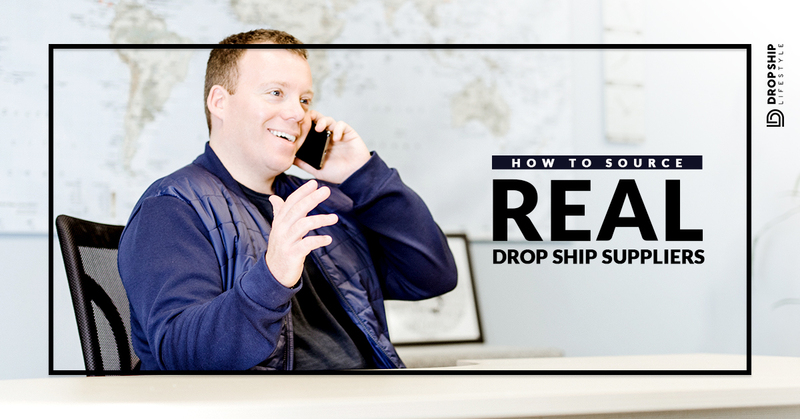 Belief #1: Supplier directories are the BEST way to get in touch with drop ship suppliers. Myth. Supplier directories are not only totally unnecessary when it comes to finding drop shipping suppliers (and I’ll show you why in Step #3 below), but they can also slow you down and cost a lot of money. I don’t recommend using them unless it's from a trusted source when you can find better suppliers for free (the only cost is time) on your own. Belief #2: The only way to know if a supplier drop ships or not is to get in touch with them and ask. Myth. 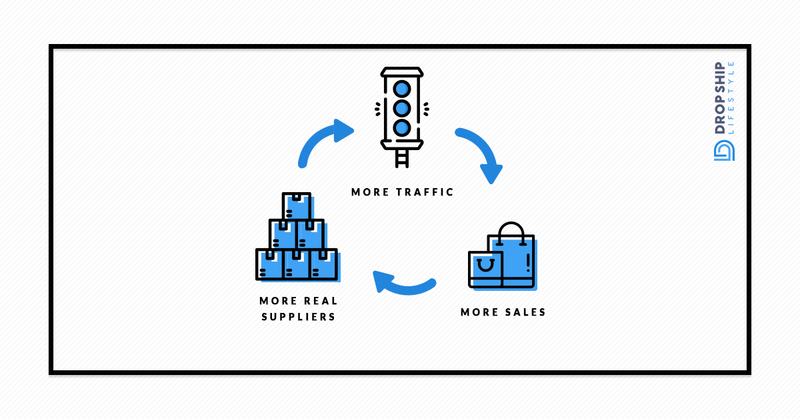 This isn’t true - there is a very easy and accurate method of figuring out whether or not suppliers drop ship or only offer dealer accounts to those who have physical stores. I’ll show you how below. Belief #3: I need a TON of suppliers in order to succeed. Half-true. This can go either way. I have seen people start stores in niches with very few suppliers and do great. I have also seen the opposite, people starting stores in niches with many suppliers and failing. Generally speaking, the more suppliers a niche has the more money there is in that niche (although keep in mind that this probably also means the niche is more competitive). I usually recommend making sure your niche has at least 20+ suppliers before you get started in it. Now that you know what’s true and what’s not, let's get into the process of finding drop ship suppliers for your niche! 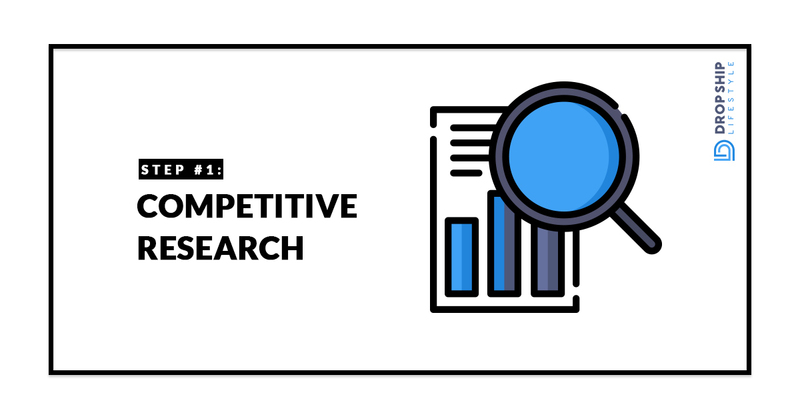 The first step to finding suppliers lies in an unlikely place: taking a look at your future competitors’ websites. We’re going to find the top e-commerce websites that are already selling the products in your chosen niche. For instance, let’s say you’ve chosen to sell entryway chandeliers. The first step toward finding suppliers is to go to Google and type in your main keyword, “entryway chandelier”. Then, find as many of the online stores relevant to your niche as you can in the first page or two of google and copy the URLs into a spreadsheet. Once you’ve got a healthy list of stores, move on to Step #2. 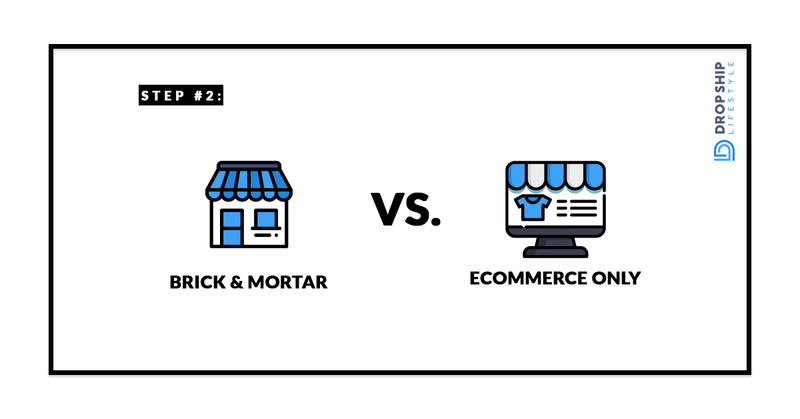 Once you’ve got a list of online stores relevant to your niche, the next step is to go through and weed out all of the stores that have physical locations or showrooms, leaving ONLY the ones that sell exclusively online. The reason we do this is because some product suppliers only authorized dealers that have physical locations and the stores that have physical locations but also sell online may be approved by some of these “physical-stores-only” suppliers. We don’t want to get confused about the number of suppliers that will be available to us, so we can simply ignore the e-commerce stores that also have physical locations. This means that it is safe to assume that all of the stores remaining work with suppliers that drop ship. Now let's figure out WHO the drop ship suppliers are so we can make a list of them, and ultimately contact them and get approved to sell their products online. Lets find out all of the suppliers that the remaining e-commerce stores represent. It’s going to be pretty easy, as many websites make their suppliers easy to identify. To start, go to the first website on my list and look for a section called “Brands” and/or “Manufacturers”. You may need to look in the header, footer, sidebar, or even sitemap to find this, but once you do, you’ll be rewarded - many stores will end up listing 10, 20 or even 100 brands! 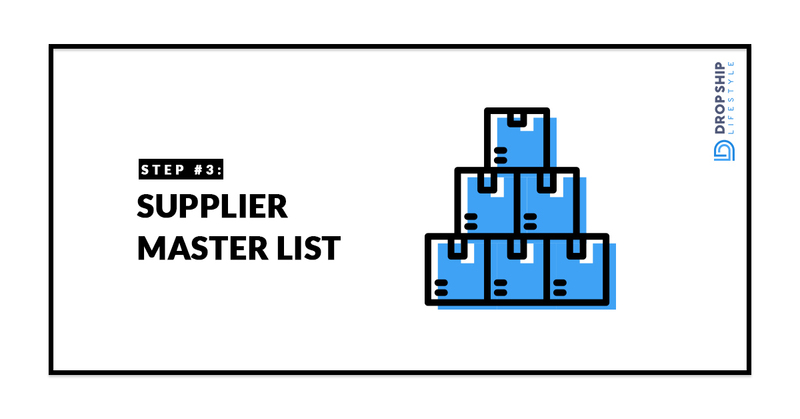 As you do this for each site, you’re going to start building a “Supplier Master List”, which you will refer to in the future for all possible drop ship suppliers in your niche. Create a “Supplier Name” column in the first column of your spreadsheet, and paste all of the supplier names that you find into this column. Repeat this for each website, and - in most cases - you will quickly find yourself with more suppliers than you need to make a ton of money drop shipping! It is important to note that just because you have now found X amount of suppliers does not mean that they will all approve you for accounts on day one. However, if your supplier list is 20+ brands long, it is safe to say that you will be able to get approved for enough accounts to build a website that will bring in sales (and eventually, as your store shows success, the brands that denied you initially will eventually come around). You will use this list to get approved by AS MANY SUPPLIERS AS POSSIBLE in your niche. Once you've gotten this far, you should have a decent-sized list of suppliers in your niche. If you don’t, then start now! If you must, bookmark this article and come back to it when you can actually follow along with each step. I think you’ll find it to be a lot easier than you may expect. I already read above where you stated you do not know any wholesale companies for clothing retail, but I have visited several websites like you said to, and none of the manufacturers or brands they use are listed anywhere on the site. Do you know where else I could find these manufacturers from clothing retail sites? You should stay away from clothing all together! There is a VERY high return rate with clothing when compared to eCommerce as a whole. I just recently launched a Shopify selling apparels and stuff. I read your reply to one of the comments that Clothing has a high Return rate. What niche do you recommend having a low return rate. Thanks for your help. The sellers who dropship and have and offline retail location, don’t they have big advantage over someone who can be accepted only to suppliers who don’t require retail location? I had that problem in the past, the suppliers i was mostly interested they were these who required and an offline retail location. Hello , the article and this website is fantastic but I was just wondering would you recommend any drop shippers that my bussiness could work with as in like we are new and trying to find the best drop shippers possible , we sale men’s wear , women’s wear , footwear , bags and all other accessories . Unfortunately, I am not aware of any suppliers in that niche… We do not sell personal items (things like clothing and bed sheets, to name a couple) because we have noticed higher than average return rates in niches like this. I’m sorry I couldn’t be of help with this questions – but I still hope you can get lots of value from Drop Ship Lifestyle!